One of the keys to the great flavor and texture is the breadcrumbs we use. We bake our own artisan breads using traditional slow-rise methods . The breads typically undergo a two to three day proofing period at controlled temperatures and humidities in order to permit the development of great, crusty flavors before baking. 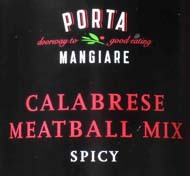 We bake a combination of Sourdough, Levain, and French breads that are then dried, coursely crumbed and mixed together to give Porta Mangiare meatball mixes their distinctive flavor. 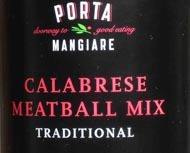 To ask your local grocer to carry Porta Mangiare products, click here. This is the recipe that Giulia, and most of her neighbors, grew up with. The meatballs are light, and very flavorful. In addition to using ground beef, many recipe variations include blending ground pork or veal, or even your favorite Italian sausages removed from the links. In southern Italy, beef was scarce. When it was used, it was blended with pork or other meats that were available. As a result, the recipes, especially those from Calabria, often called for some heat in the form of pepper flakes and spices. This version is not too spicy, but it will "creep up on you" as you enjoy them. Turkey is often used as a more healthful alternative to ground beef because it is leaner, but it also has a different flavor. 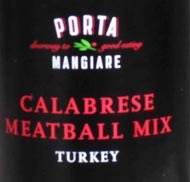 We blended a collection of spices especially for ground turkey meatballs to make them taste just like the beef varieties. We think you'll agree! 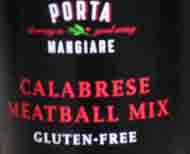 Our Gluten Free meatball mix is prepared in a completely separate, GF-certified facility so that we can be sure of their quality. Finding a substitute for breadcrumbs in this recipe was a challenge, but the growing demand for Gluten-Free products was strong. 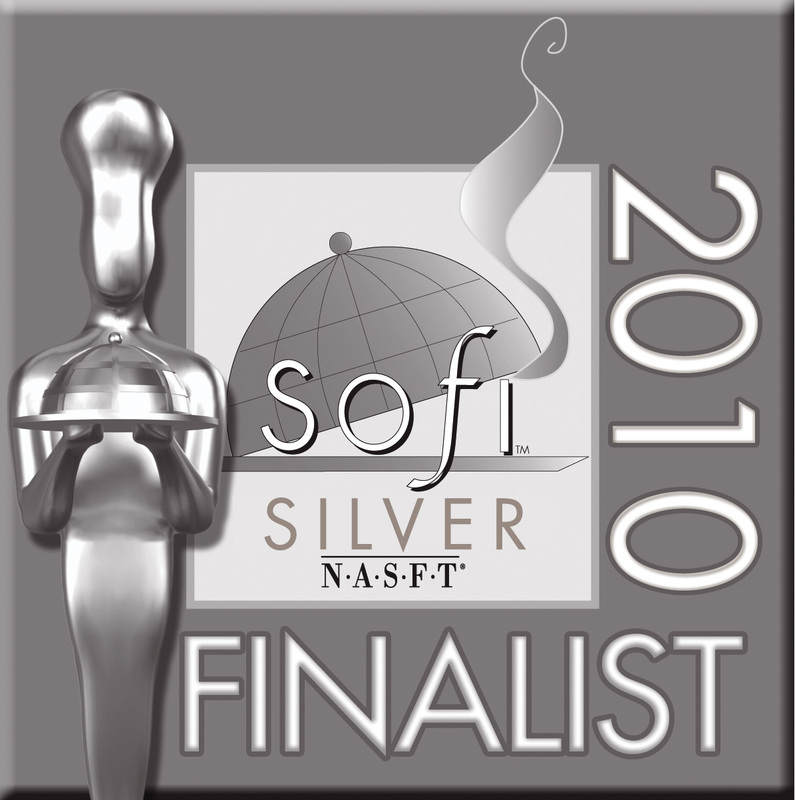 We tried many altenatives and finally settled on a potato-based recipe with a special blend of spices tailored to this variety.